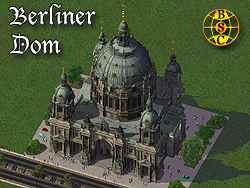 Berlin Cathedral (German: Berliner Dom) is an Evangelical Cathedral in Berlin, Germany. It is located on Museum Island in the Mitte district, and was built between 1895 and 1905. Dedicated on February 27, 1905, it faces the Lustgarten (a city park) and the former site of the imperial palace, the Stadtschloss. 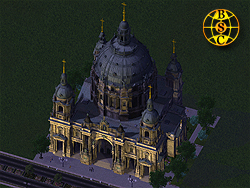 Wikipedia article on Berlin Cathedral. This page was last modified on 14 April 2013, at 23:29.